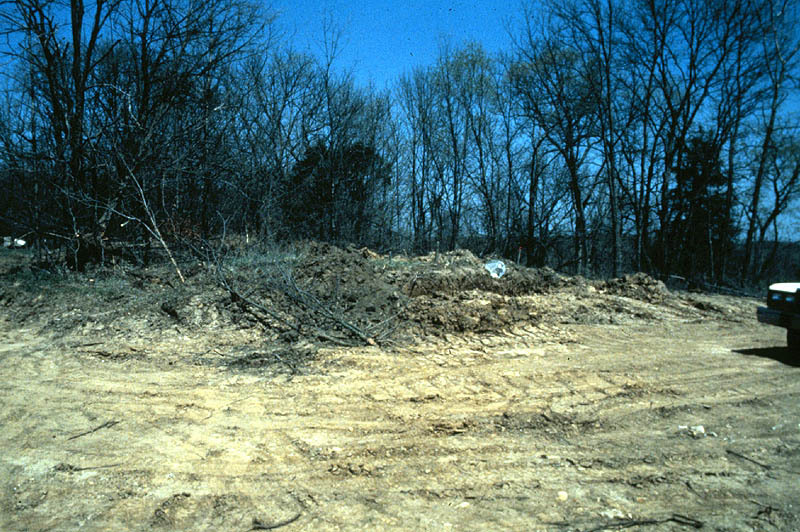 Rescue archaeological research at Westhaven Mounds (23BO369) was conducted in 1989 by Dr. Gary Rex Walters of Triad Research. 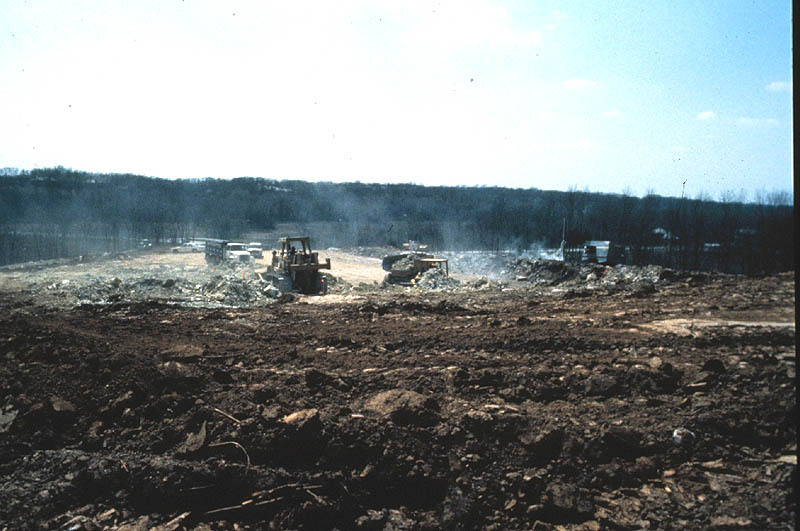 One out of three mounds was excavated ahead of a housing project. 19th century reports suggest that the site originally contained more than 3 mounds. The single documented mound contained 19 burials inside the mound and 1 burial in a cist grave beneath the mound. The images and information on this website were provided by Dr. Walters. The 19 burials belong to the Late Woodland Period (AD 600 - 800) culture called the Boone Phase. 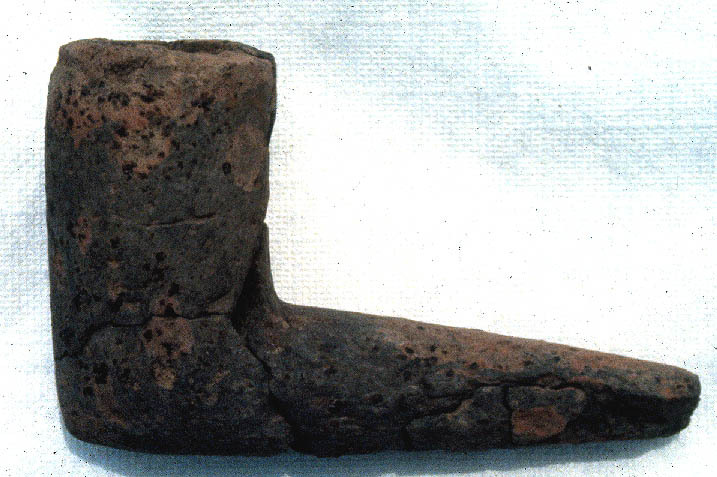 The only grave artifact in the mound fill was a single clay elbow pipe. Bulldozers destroying the Westhaven Site. Unexcavated mound covered with brush at the Westhaven Site. Cross Section of the mound at the Westhaven Site. Extended burial remains in the Westhaven Site. Clay elbow pipe grave offering in the Westhaven mound. Cover stones of the Early Woodland Period (radioacarbon dated 890 - 490 BC) cist grave in the Westhaven mound. Early Woodland Period cist grave in the Westhaven mound.